There are several different ways to arrange a meaningful send-off. For some, enjoying the coastal beaches or seafaring was an important part of their lives, and as such, scattering their ashes at sea would be a great way to celebrate their life. Thanks to cremation funerals, people can now have ashes scattering ceremonies to celebrate the life of a loved one who had a strong connection to the waters. The sea plays an important role in providing a befitting farewell to someone you love. Many have heard of scattering ashes into the waters, but are unsure on how to organise such an event. This article will cover everything you need to know. While ashes themselves don’t affect the quality of water, don’t scatter any non-biodegradable items. For instance, wreaths and personal items might contain plastic or metal parts that can harm wildlife or cause litter. Spread ashes at a spot far from buildings and where people swim or fish. Spread the ashes as close to the water surface as possible. Also, avoid windy days so the ashes don’t blow about and affect people living or working around. Your undertaker or faith group leader should be able to point you in the right direction. But if you still unsure about a particular site, then you should check with your local Environmental Agency. When choosing to spread ashes at sea, there are a few considerations to keep in mind. For starters, you can either choose to do it from a boat or from the shoreline. You can reach more inaccessible places. You are totally surrounded by the seas, and as such, could feel more of an occasion. It’s easier to put and spread the ashes. You get to choose your own timings and the duration of the ceremony. The weather is less likely to hinder you from a perfect send-off. While at sea, you can choose to toss the cremated remains into the wind, so long as you keep in mind the wind’s direction. At times, the remains can blow back into your face or get washed up onto the side of the boat. This can be traumatic, not to mention, not the perfect send-off you envisioned. Thankfully, there are water urns that are designed to gently float away, making the whole process much easier. 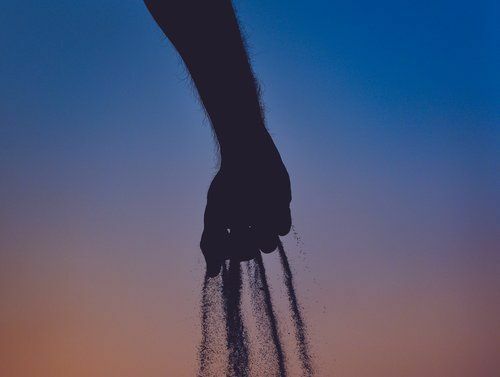 Releasing ashes into the sea can be accompanied by a few potential mishaps; however, a little bit of planning together with the following tips can make the process go more smoothly. Stay upwind to ensure the ashes blow away from you and the guests. A lot of people aren’t aware how cremated remains can stick to the skin, therefore, have wipes or water ready to ensure the ashes stay in one location. The summer months are a bit calmer, and as such, are ideal for those who might suffer from sea sickness. Don’t be shy to ask for help. Below you will find our partners who offer a scattering ashes service in your area. Spreading ashes at the beach can be done through trenching. Primarily, this involves digging a shallow trench in the sand (perhaps in the shape of a heart, the deceases name, a message about the deceased, a circle, or any other design of your choice) and then spreading the ashes into the trench. The trench should be created close enough to the sea/ocean where the water can gradually wash the cremains – lookout for the tide line. This process requires proper timing to avoid holidaymakers and dog walkers. Also, the tide timetable allows you to time the ceremony so it’s conducted when the tide is out. Friends and family members of the deceased can watch together as the waves return, washing over the sand as the water retreats from the beach taking the ashes with it. Scattering cremated ash at rivers / canals / lakes is more or less the same as doing it at sea. If you have access to a boat you can do it yourself, if not, you can get help from a number of boat companies that operate across the UK. But if you choose to spread the ashes from the water edges like at the riverbank, ensure it’s not slippy to avoid accidents. The site you choose should be more than a kilometre upstream of any water extraction point. If you are unsure about a particular site, you can check with your local Environment Agency office. The site should be far from any buildings or where people bath, fish, or marinas. Urns are containers that hold the ashes. Some people simply pour the ashes right into the water, which may not require a specific type of urn. You can even choose to use the temporary container provided by the crematorium. However, if you plan on releasing the entire urn into the sea, it’s advisable to use a use a biodegradable urn. In such instances, the right sort of urn is one that can float for a while and gently submerge into the water, giving you enough time to reflect and say your goodbyes. There are several different types of biodegradable urns for scattering at sea. All of our water urns are made of biodegradable material such as paper or cardboard, natural salt or other plant-based materials. One of the benefits of cremation and scattering of ashes, that you dont get with standard funerals is, it offers more time for you to think of how you can express how much your loved one meant to you. For some, water symbolises freedom back to nature, a cleansing of the soul, or the natural flow of life. There are no particular rules for a scattering at sea ceremony. Having a themed ceremony. This could mean planning the ceremony according to the family’s wishes or by honouring the deceased’s heritage. For instance, you could celebrate a life through music and dancing. Plan an attended service. This offers an opportunity for all mourners to express their own relationships and the experiences they had with the deceased. Often, friends and family members will toss flowers into the water, and watch them drift away together with the scattered ashes. Do I/we have to accompany the ashes to the scattering site? Many families want to be a part of the ceremony and be present at the final resting place, but this is totally optional. How long does the scattering of ashes at sea trip take? Trips are flexible around your needs and wishes. How can I/we know the exact location where dispersal took place? The skipper of the boat will be able to give you exact longitude and latitude co ordinations of the exact point of dispersal, please ask about this before conducting the ceremony. Is the cruise safe for all ages? How is unattended scattering done? The boat crew will take the ashes and complete the scattering as instructed. A video may be able to be arranged if you wish. Can I keep some of the ashes? perfect send-off that will honour your loved one. Keep in mind that this is just a tip of the iceberg. Scattering at sea comes with endless possibilities; from urns, to methods of scattering, to ideas for the ceremony. The ceremony is all about saying goodbye and creating an everlasting memory of setting the person you love free. Therefore, do it in a way that demonstrates that.